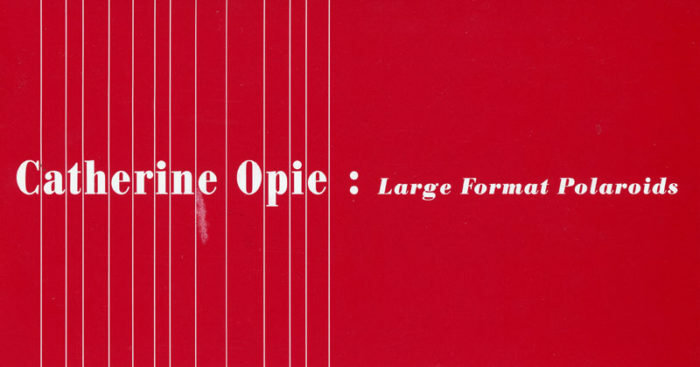 Postcard for Catherine Opie’s exhibition, Large Format Polaroids, at Thread Waxing Space, 2000. Exhibition made in collaboration with Ron Athey and Darryl L. Carlton. 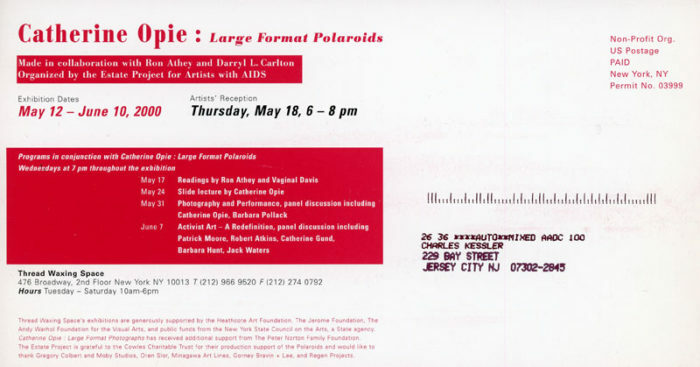 Organized by the Estate Project for Artists with AIDS.